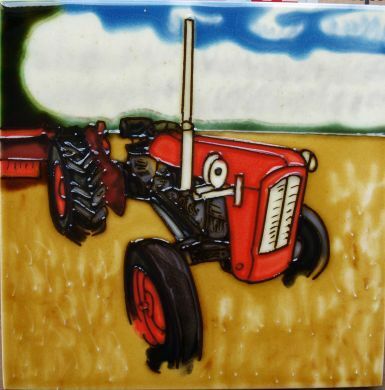 A hand painted ceramic picture tile featuring the iconic vintage Massey Ferguson tractor. 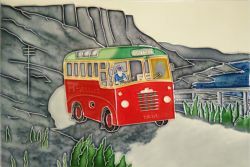 The tile is supplied inside a presentation box and is backed with a hardboard finish with cutout hook, with a flip out stand to enable the tile to be displayed on a table of shelf. The backing can easily be removed if the tile is to be fixed to a wall.